She got me thinking. My friend, who, for the first time, was questioning some of the values, methods, and efficacy of public school and began investigating the idea of home education for her family. By asking me questions about this whole “homeschooling thing” that we do, she brought to my attention something with which we homeschoolers ourselves struggle. My friend didn’t even realize it, but with her questions about what we did and why we did it, she displayed what is a very common misconception about homeschooling: that homeschooling is some kind of a microcosm of the public school classroom, transported to the home environment. As I thought about it, I realized that many of us homeschoolers struggle against the very same misconception. Standardized “periods” of learning (45 minutes, 90 minutes, etc.) based on organized schedules for managing large numbers of students can be exchanged for flexible periods of learning based on the individual student’s needs. For example, if Johnny is ADHD and cannot sit for long periods of time, Reading is done in 3 minute increments, with activity-based breaks in between. 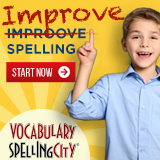 Subjects that may be laborious, such as Grammar, may be interspersed with more kinesthetic subjects such as Science. If the student is a Math whiz, Math may only take 15 minutes, whereas History might take 45 minutes. Sitting at desks can be exchanged for lying on the floor, working on a picnic blanket outside, saying Math facts while jumping on the trampoline, or writing on a lap desk in bed. Students who have trouble staying still have the freedom to move as they need to, and those who enjoy a more relaxed learning environment can do their work in whatever setting works for them. Educational milestones do not have to follow the prescribed public school standards of learning for each level. Education is seen as a long-term project, with the understanding that students progress differently in different subjects and at different rates. A child may be ahead in one subject according to “end of grade” public school requirements, but be behind those guidelines in another subject; there is more focus on holistic educational attainment over the long haul than on episodic progress according to a particular path of progression. Learning tends to be more collaborative rather than didactic. In other words, rather than students “learning from an expert”, children and parents participate together in investigating new information and ideas. Interaction, questioning, analyzing and debate usually predominate over simply listening or taking notes; critical thinking is often stressed over memorization or fact recall. Non-academic skills are often taught alongside academic ones; the ability to repair household items, cook meals, manage money and demonstrate basic entrepreneurship are often deemed just as important as English, Math, History, and Science. Academic skills can be demonstrated practically throughout the flow of household life in order to enhance practical skill application. Rigid guidelines for scope and sequence of learning can be exchanged for flexibility and spontaneity in order to make learning fun. If a certain topic in Science sparks particular interest, rather than continuing on in order to “get the book finished”, or keep a particular pace, students can do a unit study on that particular area, or go into depth doing additional research on their subject of interest. A fairly standard classroom setting, with an individual teacher, can be exchanged for a variety of different learning environments. Co-ops, cooperative learning among homeschooling families, distance education programs via computer, internet programs and iPad applications, library education classes, local community college courses, apprenticeships and mentoring programs are all common options for homeschool students – in addition to working with their own parents. One curriculum for each subject, to which each student needs to “fit”, can be exchanged for multiple resources according to each student’s individual needs and learning styles. In contrast to every student in a class working on the same materials, different children in the same family can work through completely different curricula for any given subject to ensure that each one uses materials that best meet his/her specific needs. And those are just a few of the differences. Homeschool parents, you don’t have to make your homeschool into a public school classroom. To do so would be to miss out on the wonderful benefits of home education…the individualization, the flexibility, the holistic approach, the collaborative learning, the focus on developing personhood. It is precisely the fact that homeschooling is different from public school that makes it a unique and wonderful option for many families. Public school is there for those who want it. 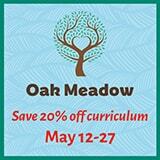 Homeschoolers, make your home education what you want it to be – as unique and special as your own family. Start Fresh... Stay Strong... Finish Well! I am a stay at home mom of 3. I need help. I don’t know where to start. saying that it is a misconception is euphemistic, don’t you think? it is so rampant that I call it prejudice. Parents who actually desire to teach theor children to develop their own sense of personal responsibility when it comes to learning, are almost always treated second- or third- class, by the greater majority of the american population. 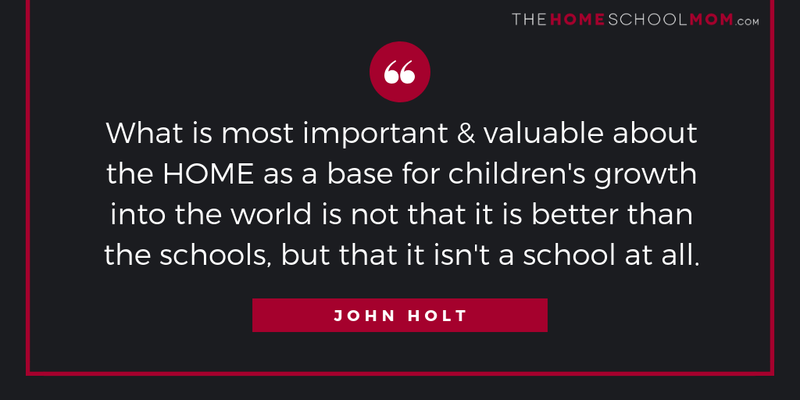 We struggle with this mostly because we know that we may not (or not be able) to home school forever. There is always that need to keep up and and make sure they never fall behind in any area. We are trying a more traditional curriculum this year (Calvert) to meet the basic traditional school requirements and I actually worry that it may be too slow to allow us to stay 2 grade levels ahead as we have done so far. Its a twisted conundrum. I have that struggle, too. My son didn’t like his history curriculum that he did only 4wks worth and plenty of daily newpaper reading. Also he had a hard time with the math currculum that I gave him ACE paces which he finished. I wonder if he is learning with his”unschooling”. I’m still question myself if he is learning. Thank for the the information. My husband and I have often struggled with the same concept of feeling like we needed to recreate public school at home. It takes some work to think outside of the box when all you have known was public school. Great tips – thanks!